Fill in your details & we will contact you. Verbal lease agreements – Are they even valid? Many people incorrectly believe that verbal lease agreements are not binding contracts. 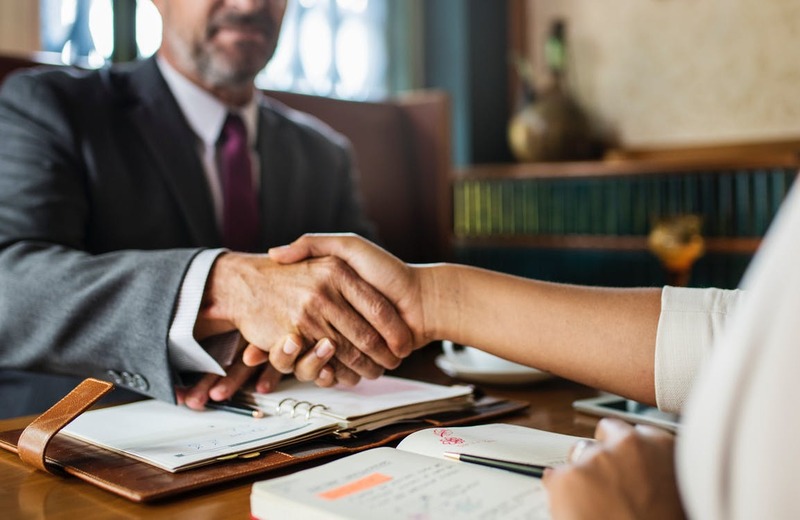 Verbal lease agreements are actually valid legal contracts but it is always recommended that all lease agreements become signed contracts between a landlord and tenant. This is a sensible solution, as it removes any possible future confusion that could relate to rental payments, maintenance of the leased property and/or landlord and tenant’s respective duties. What often happens though, is that a verbal lease agreement is entered into but only later on is a written agreement created. There are some important points to note in this regard. Firstly, a written lease agreement cannot table terms and conditions that are different to those created in the verbal agreement. If this occurs, the tenant has the right to refuse to sign the written lease agreement and the terms and conditions will have to be negotiated between tenant and landlord. Also, should a tenant request a written lease agreement from a landlord, the landlord is legally compelled to provide one. It’s always better for both tenants and landlords to create and sign a written lease agreement before a property is rented out. Can we help you to create a lease agreement? Contact us for assistance or learn more about Simon Dippenaar Eviction Lawyer. Rental Housing Tribunal – The Rental Housing Act 50 of 1999 came into effect during 2000 and is the guiding legislation for the relationship that exists between tenants and landlords. The Rental Housing Tribunal manages complaints from both landlords and tenants and will intervene, mediate and seek resolution on any issues submitted to them. It only deals with matters relating to residential properties, however, and not commercial rentals. The primary reason for lodging a complaint must be contesting unfair practice that has been undertaken by a landlord or tenant. The Tribunal focuses on quickly resolving disputes and must resolve a complaint within 90 days. When the Rental Housing Tribunal reaches a final resolution on a matter, it is considered a court order and must be adhered to. As with all court orders, their rulings can be appealed through the High Court. Their has offices in each province, which oversee cases within each of its geographical areas. Most importantly, their services are free to use. Can we help you lodge a complaint with the Rental Housing Tribunal? Call us on 021 439 520 or Contact Us. Learn more about Simon Dippenaar Eviction Lawyer. Last week we looked at the Expropriation Bill 2015 and what it means for property owners. In the second part of this article we deal with an aspect beset by controversy – compensation: how much and when. What is ‘just and equitable’? How and when will compensation be paid? It’s worth noting that one of the better features of the 2015 bill, compared to the 2008 version, is that compensation is decided by the courts, not by the state. An expert, unbiased opinion might be useful at this stage – property and its value, apart from being a financial transaction, can arouse strong emotions. 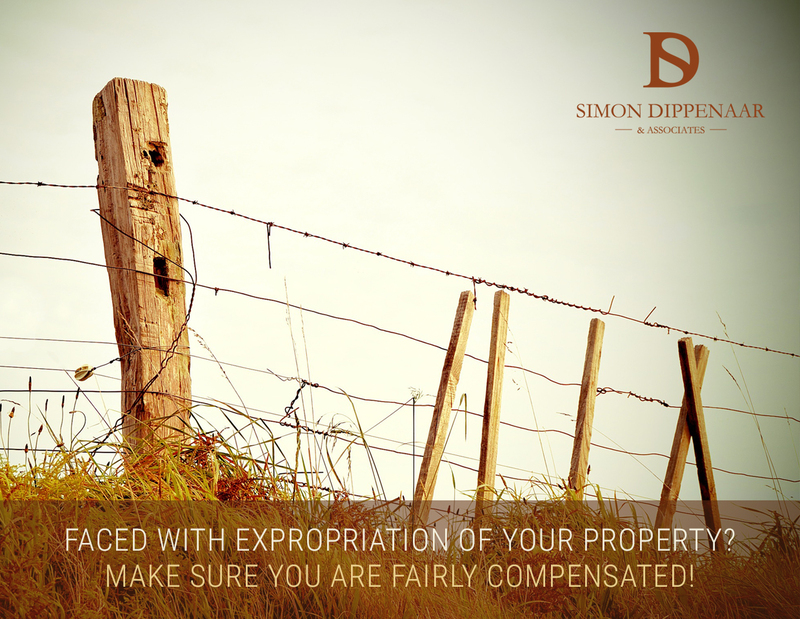 If you are the owner or holder of an unregistered right, you should respond to the notice of expropriation within a 20-day period (which can be extended), whether or not you agree to the expropriation or the amount of compensation payable. If you claim an amount of compensation and this is rejected by the authority, the authority has to propose a ‘just and equitable’ amount, detailing how this amount has been calculated and what is included. In this situation, you will need to provide supporting documentation within 20 days of delivery of the statement indicating the amount claimed. If an agreement is not reached at this stage and you don’t institute legal proceedings, it is assumed that you have accepted the offer. If you are entitled to compensation, 80% must be paid to you on the date the authority takes possession of the property. If there is a mortgage or a deed of sale on your property, the appropriate amounts are paid by the authority to the bond-holder or buyer. If you cannot reach agreement with the bond-holder/buyer, then the matter will be decided in a court application. Under certain circumstances, it may be necessary for compensation to be deposited with the Master of the High Court – for example if the property was a bequest to people unknown to the parties involved, or if the address of the payee cannot be provided. Your property may be expropriated on a temporary basis – in the event of a disaster, for example. ‘Temporary’ means a period not longer than 12 months (this may be extended by court order) and some of the provisions of the bill are waived. Compensation is payable. If, for any reason, the property is no longer needed – perhaps the reason for the expropriation is no longer in the public interest – it can be withdrawn, in which case there is provision for recompensing the owner. Does the bill infringe the Constitution on issues such as property rights and the removal of the ‘willing-buyer, willing-seller’ approach? The bill seems to relate not only to land, but to shares, intellectual property and, indeed, moveable property. Are we heading for a Zimbabwe-style land grab or are we protected, at least to an extent, by our Constitution? As mentioned in the first part of this article, there has been a great deal of discussion around the Expropriation Bill, mostly relating to the constitutionality of the powers given to the minister and state organs to expropriate property either for ‘public purposes’ or ‘in the public interest’. The debate is likely to continue until the pertinent points have been addressed and clarified, probably in the Constitutional Court, and there are calls from the DA, AgriForum, and the Institute of Race Relations for further discussion. Meantime, if you are faced with a possible expropriation, we strongly advise you to read the bill/act and prepare to take legal advice. This is a potential minefield, but with the right approach you could save yourself time, money AND heartache. The word ‘expropriation’ sends a shiver down the spine of many property owners and so the Expropriation Bill, passed by the National Assembly in May 2016, has attracted a great deal of attention. Just what is ‘expropriation’? Very simply, it is the taking of privately owned property by government (the expropriating authority) for the public good in return for ‘just and equitable’ compensation. Expropriation has been acknowledged by the Constitution of South Africa as a means for the State to proceed with land reform, land redistribution and service delivery, for example. The 2015 Expropriation Bill is the latest – and depending on your viewpoint – the most effective and fairest legislation to date to deal with South Africa’s land issues. That doesn’t mean it’s perfect! Questions are still being asked about the constitutionality of the bill and there is much concern about the powers given to the State in matters of expropriation, the amount of compensation that should be paid, property owners’ rights and so on. Should you be worried? In this article we will give a brief overview of the clauses of the bill and aspects being debated. While it’s important to be aware of the ramifications, all is not doom and gloom, at least not at this stage. How will the bill work in practice? Are there enough qualified people in the employment of the State to implement the provisions of the expropriation bill? There is a lack of clarity here as well; the bill has yet to be tested in court. How robust is the document, currently awaiting the signature of the President before it becomes an Act of Parliament? The stated objective of the expropriation bill is to provide a uniform and fair procedure or framework for all expropriations, within the provisions of the Constitution. The expropriating authority can only expropriate property for a public purpose or in the public interest. If there is an intention to expropriate your property (remember, this is not restricted to immovable property), you will have the opportunity to negotiate with the authority (except in the case of an urgent, temporary use). The bill is clear that every effort must be made to reach agreement with the property owner/holder of an unregistered right. What powers does the Department of Public Works have? The minister has a ‘general power’ but property can only be expropriated if this is directly connected to the minister’s mandate. These powers can be delegated to officials in the Department of Public Works. What happens if you have a right over a property? Rights are dealt with individually and separate notices must be delivered to each right-holder. Everyone has the same opportunity to object (in writing) and the authority has to consider all objections and submissions in good time before proceeding with expropriation. Incidentally, the same terms and conditions apply to rights-holders as to owners. If you are involved in the expropriation of your property, the authority takes possession in the period between the delivery of the notice and the actual expropriation. Compensation will be paid for costs incurred but it is your responsibility to maintain the property. In the second and final part of this article we’ll outline the remaining clauses and briefly discuss some of the concerns being expressed about the bill. 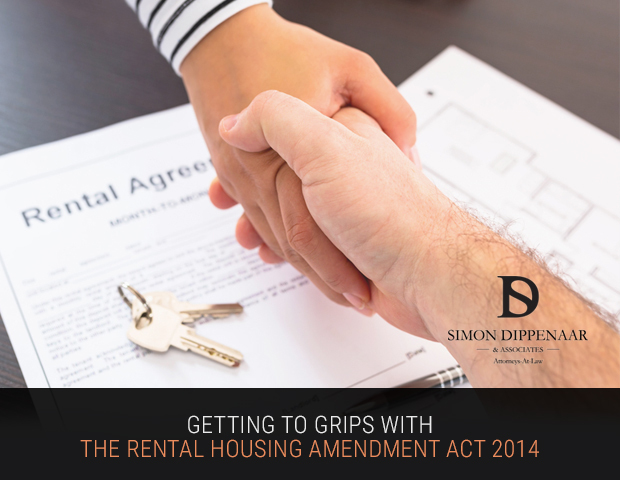 We recently wrote about the Rental Housing Amendment Act 35 of 2014, still to be gazetted. It seems the article has focused the minds of our clients and we’ve had requests for more information on what the Amendment Act means for both landlords and tenants. So we will set out here what we see as the most important points. Arguably the most significant change in legislation is the onus on the landlord to provide a written lease agreement, and the criminalisation of the failure to do so. This strikes us as a heavy-handed means to a reasonable end; and an alternative approach might be the provision of a default lease agreement enforceable in law in the absence of a written lease. This would encourage landlords to draw up written agreements if they want to be sure of including their own clauses, but not tie up court time enforcing an unnecessary criminal law should they be negligent in drafting the lease. But meanwhile, if you are a landlord, it is your responsibility to provide your tenant with a lease in writing. The lease must contain, at a minimum, the street address of the premises, the rights and obligations of the landlord and tenant (which must comply with the Act), the deposit amount, the rental amount, any other charges, the frequency of payment and the process to follow if escalation of complaints is necessary. Landlords are also obliged to ensure the tenant’s deposit is lodged in an interest-bearing account and to repay the deposit plus interest within seven days of the expiry of the lease. During the course of the tenancy the tenant is entitled to request written proof of interest earned on the deposit. At the start of the lease, landlords must undertake to inspect the property with the tenant to identify any damages or defects. The tenant may insist that sub-standard conditions are rectified before moving in, and the landlord must comply. If the landlord fails to inspect the property with the tenant, then it is assumed that the property is in good condition. Allowance for post-rental inspection is also included in this section of the Act. In addition to the rights of the tenant implied in the landlord’s obligations above, there are several other tenant’s rights enshrined in the Amendment Act, not forgetting that the tenant also has obligations. The privacy of tenants is thoroughly protected in the legislation. While landlords reserve the right to inspect the property from time to time, sufficient advance notice must be given. Unannounced, ‘spot’ inspections are not permitted, nor is a search of the premises, unless there is considerable reason to suspect misconduct and a court order has been obtained. Tenants are entitled to written receipts for all payments made to the landlord, and to receipts for any repairs carried out to the property that may be deducted from the deposit before it is returned at the end of the lease. Tenants must obtain the landlord’s consent before sub-letting any part of the property, but landlords are expected to grant permission, provided the request is reasonable. The Rental Housing Amendment Act 35 of 2014 was developed to remedy some of the shortcomings of the original Rental Housing Act 50 of 1999. The Amendment Act aims to improve the regulation of the landlord/tenant relationship and provide tenants with greater protection. It also attempts to strengthen the powers of the Rental Housing Tribunals and create a better appeals process; and most importantly it introduces standards for rental housing, as historically some landlords have exploited desperate tenants by offering woefully sub-standard dwellings for let. 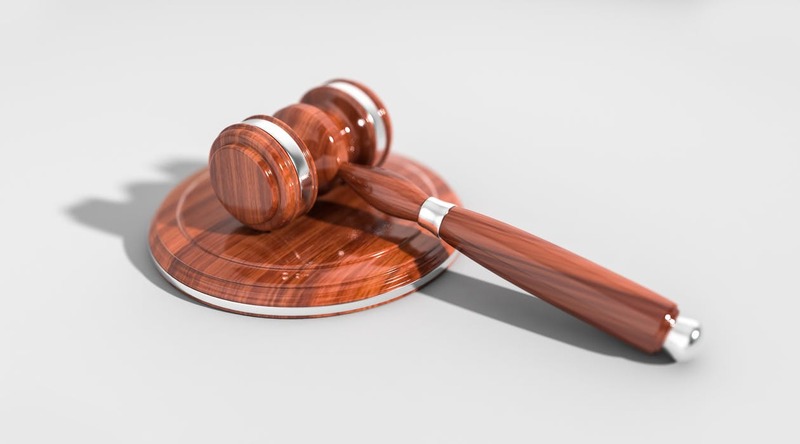 The Amendment Act sets out quite clearly what the landlord’s duties are in terms of the condition of the property and the safety and security of the occupants. The term “habitability” is defined as referring to adequate space; protection from the elements and other threats to health; physical safety of the tenant, the tenant’s household and visitors; and a structurally sound building. Because property owners also have a right to the security and fair treatment of their dwellings, the amended Act offers landlords some protection against malicious damage caused by tenants, with the inclusion of reasonable rules and regulations in lease agreements. We welcome this as an important step towards improving the quality of housing for some of the most vulnerable in our society and protecting landlords from disrespectful tenants. A number of clients have asked about the implications of the Amendment Act for tenancy arrangements already in force. Legislation is not usually applied retrospectively. In the case of the Rental Housing Amendment Act 2014, when it is eventually gazetted, the terms of the Act will apply immediately for new lease agreements, and there will be a six-month transitional period to allow existing arrangements to be brought into line with the legislation. So don’t panic. But if you own multiple properties and have a large number of tenants, it might be advisable to begin the process of drafting leases in preparation for the new law to come into effect. Six months can pass very quickly, and not providing tenants with a written lease is a criminal offence, punishable by a fine or even up to two years in prison. 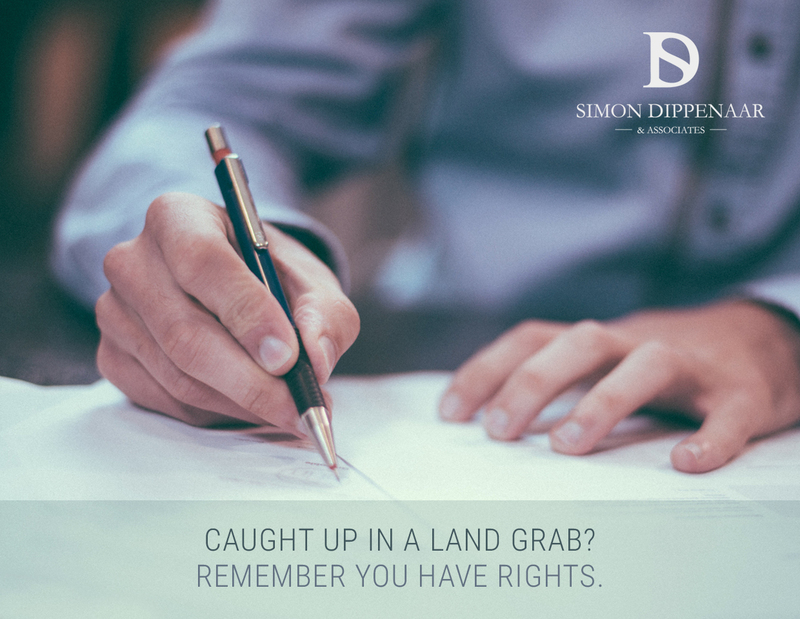 At Simon Dippenaar & Associates we are specialists in property law. We act for both landlords and tenants and therefore know the challenges faced by both parties; and we know the legislation as it affects both sides. Call us now on 087 550 2740 or email sdippenaar@sdlaw.co.za if you need help complying with the Rental Housing Amendment Act 35 of 2014 when it comes onto the statute books. Don’t leave it until the law is in place. A very big thank you, as you took your time and resources to help me and my girls as Landlord cut our electricity, and you did all this at no charge as at the moment I had nothing. With your help the landlord restored electricity to our flat and my girls could have a nice warm bath and a decent plate of food. You honestly gave me strength through detailed information and process, not at any point did you give me the indication that I was fighting a losing battle. You were sure at all times that I will get my house, you have no idea what that did for me mentally knowing that you were on my corner.